How much do Mavericks suites cost? 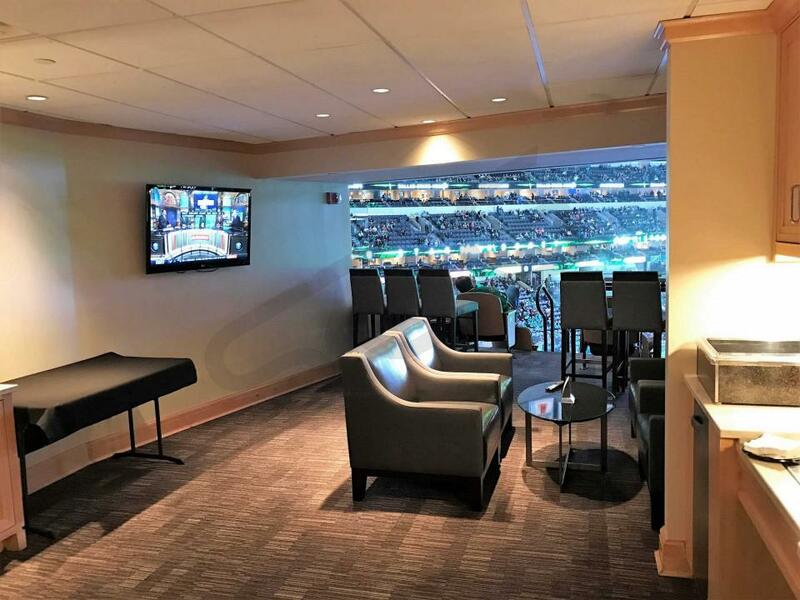 Dallas Mavericks suite rentals typically cost between $3,500-$5,500. Prices will vary based on opponent, day of the week and suite level. Flagship Suites are generally the most popular suite option at American Airlines Center due to proximity to the court. The cost of luxury suites for concerts and other events at American Airlines Center can vary widely based on the type of event. Flagship suites are located on the lowest of 3 suite levels at American Airlines Center. Flagship suites include VIP parking passes, exclusive access to suite level bars and restaurants, and premium in-suite catering options. Most Flagship suites will accommodate 18-23 guests. Suite amenities include interior and exterior seating, HDTV's, and a wet bar. The Platinum Suite Level is the middle of 3 suite levels at American Airlines Center. Platinum suites include VIP parking passes, exclusive access to suite level bars and restaurants, and premium in-suite catering options. Most Platinum suites will accommodate 18-23 guests. Suite amenities include interior and exterior seating, HDTV's, and a wet bar. Admiral Club suites are the third suite level in American Airlines Center. These suites include HDTVs, interior lounge seating, balcony seating, premium in-suite catering options, wet bar and a suite attendant. Admiral Club suites can accommodate larger groups. VIP parking, private entry and exclusive access to private clubs is included. Suites at American Airlines Center span three levels; Flagship, Platinum and Admiral. Most suites will accommodate 18 to 24 guests. Suites typically come with the option to purchase additional standing room tickets. Fully private suite rentals at American Airlines Center typically cost between $2,500-$5,500. For Dallas Mavericks (NBA) games, suite prices range from $3,500-$6,000 depending on opponent and day of the week. 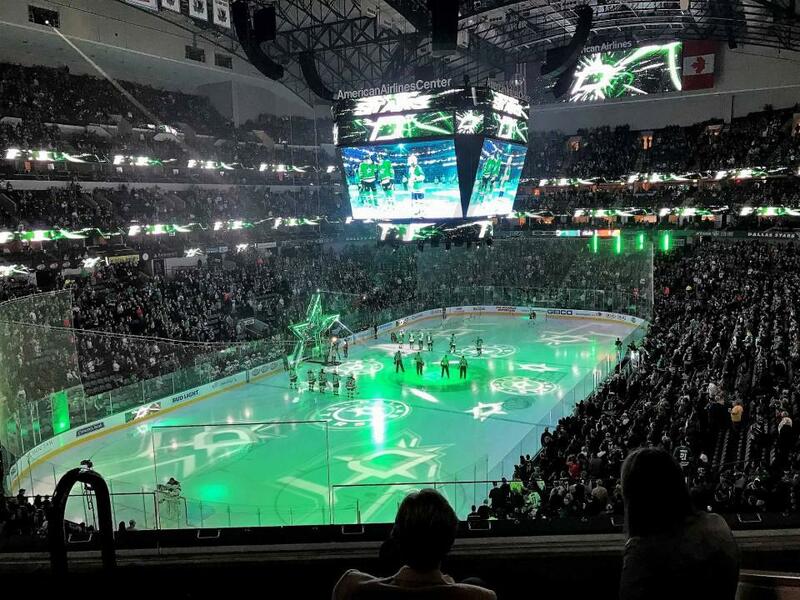 For Dallas Stars (NHL) games, the typical price range is $2,500-$5,000. Suite prices for concerts and other events will vary widely; the most popular performers will usually command suite prices over $10,000 while suites for family events such as WWE wrestling or Cirque du Soleil could cost as low as $2,000. All private luxury suites at American Airlines Center offer premium in suite catering provided by Levy Restaurants. The catering menu has many local options including the popular Dallas Smokehouse Package. On average, Suite Experience Group clients spend $100 per each member of their group, however, there is no required minimum spend. 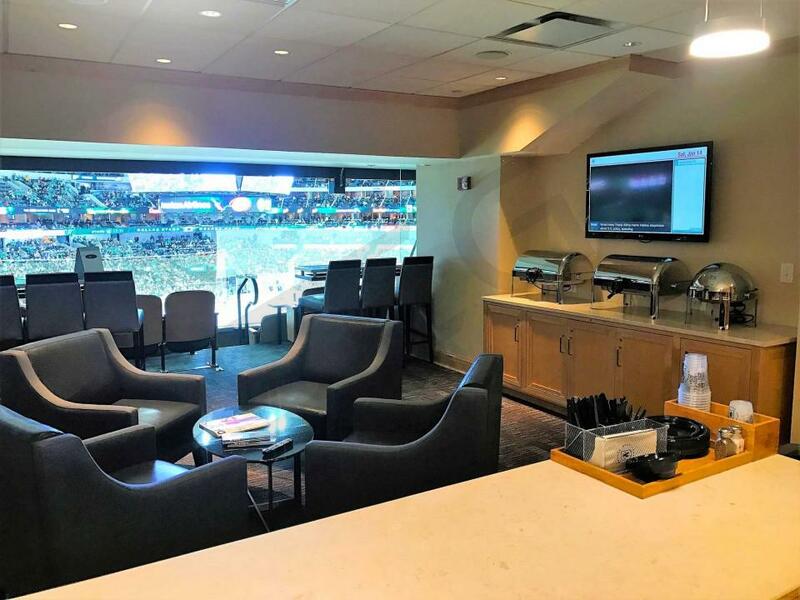 Suite ticketholders will have access to the Lexus Platinum Club, Effen Vodka Lounge, Arrangement Club, BeachBound Lounge, and Chef's Corner which is an upscale cusine station located on club level. Premium clubs typically offer restaurants, cash bars, and plenty of lounge seating. There is no dress code for suite level at American Airlines Center. All suites at American Airlines Center are climate-controlled. 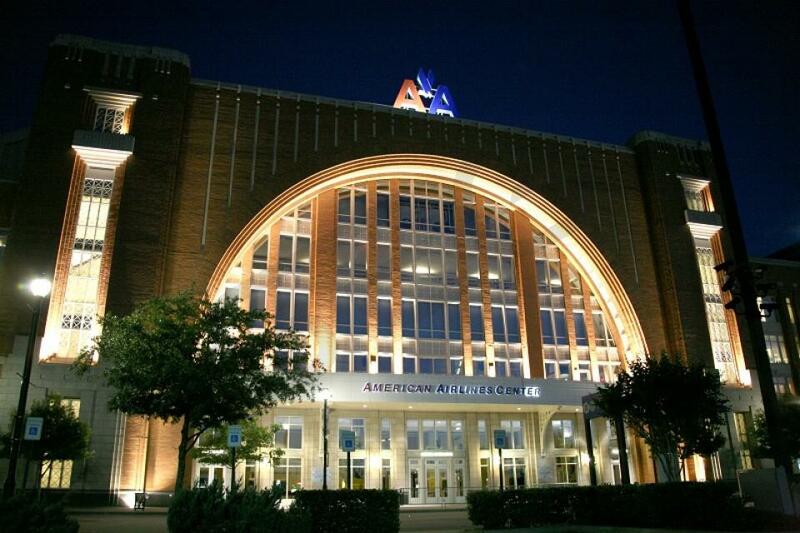 American Airlines Center is located at 2500 Victory Ave in Dallas, Texas. Public transporation to the venue is encouraged; the best mode of public transportation is the DART and the Green and Orange lines stop at the arena (Victory Station). Designated VIP parking for American Airlines Center is located in the Lexus Garage (first 3 levels) adjacent to the arena. Ride sharing pick-up/drop-off is located on Star Way and Olive Street. Entrances will open 90 minutes prior to sporting events and one hour prior to concerts. All fans entering American Airlines Center will go through a metal detector screening. Any bags larger then 14”x14”x 6” will not be allowed into the arena. There is lots of excitement surrounding the Dallas Mavericks in 2018-19, mainly due to their young backcourt of Dennis Smith Jr. and Luka Doncic. Future Hall of Famer Dirk Nowitzki enters the 21st season of his legendary career, hoping to return to the playoffs at least one more time as he nears retirement. Be sure to head out to American Airlines Center to watch Dirk Nowitzki and the rejuvenated Dallas Mavericks this season. The Mavericks aren’t used to picking in the NBA Draft lottery, but the early results on their past two lottery selections suggest they have hit home runs. Mark Cuban and the Mavs drafted point guard Dennis Smith Jr. in 2017, followed by Luka Doncic in 2018 in a draft day trade that cost the Mavericks an extra first round pick. Dennis Smith Jr. showed All-Star potential last season, averaging 15 points and 5 assists as a rookie. He is a great athlete with a natural ability to attack the basket and create plays. As much reason as there is to be excited about Dennis Smith Jr., there is perhaps even more optimism surrounding Luka Doncic. Doncic is a do-it-all shooting guard from Slovenia who won the Euroleague MVP last year as a teenager, a feat no one has accomplished before. Mark Cuban said Luka Doncic was first on the Mavericks draft board and it wasn’t even close, so it’s safe to say the Mavs got their man. Dallas has their backcourt of the future in Dennis Smith Jr. and Luka Doncic. In addition to trading for Luka Doncic on draft day, the Dallas Mavericks signest one of the biggest names in free agency: DeAndre Jordan. After the bizarre situation two years ago when Jordan agreed to a deal with Dallas but then backed out to stay with the Clippers, DeAndre Jordan is finally a Dallas Maverick. He should slide in very well next to Dirk Nowitzki and Harrison Barnes in the frontcourt. Jordan is an elite rebounder who is a dominant presence finishing dunks around the rim, something the Mavericks haven’t had since Tyson Chandler. On the perimeter, expect Harrison Barnes and Wesley Matthews to carry a bulk of the scoring and shooting. Head coach Rick Carlisle enters his 11th consecutive season with the Dallas Mavericks, tying him with Erik Spoelstra as second longest tenured coach in the NBA, behind only Gregg Popovich. Mavericks billionaire owner and TV personality Mark Cuban has once again put together a promising roster after two subpar seasons in a row. Join Mark Cuban live at Dallas Mavericks games this season by renting an American Airlines Center luxury suite. 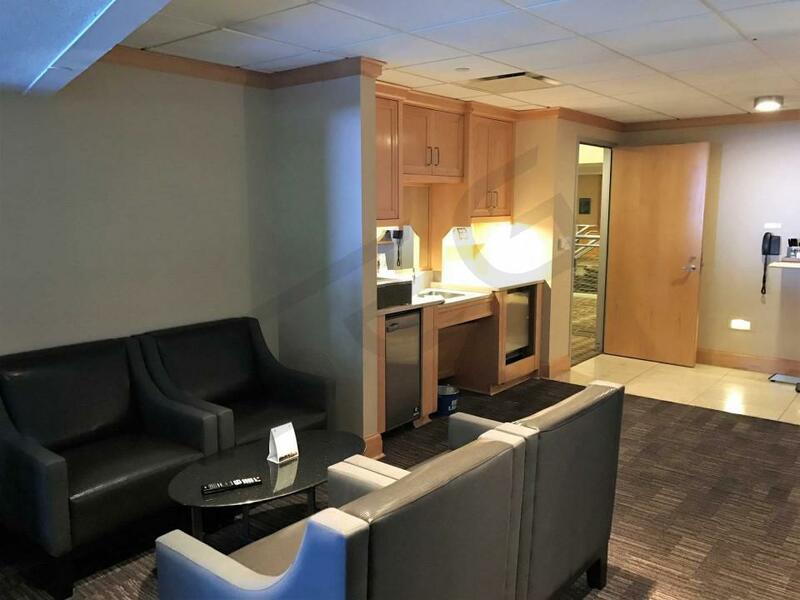 American Airlines Center suites include all the typical luxury suite amenities, including VIP parking passes, upscale furnishings, and a private bar. 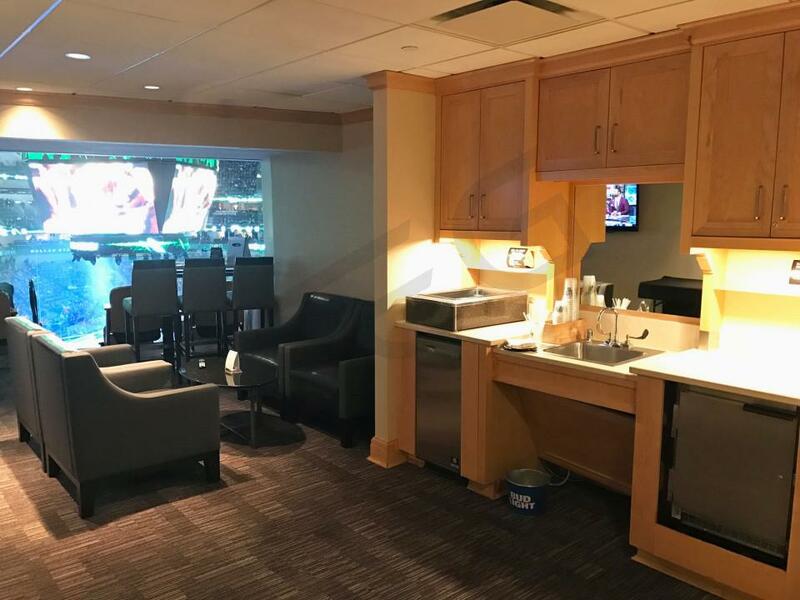 Enjoy a Mavericks game in an intimate setting with your valued guests by purchasing an American Airlines Center luxury suite. After missing the playoffs last season for the first time in the past 4 years, the Dallas Mavericks will look to bounce back in 2017-18. Rick Carlisle returns for his 9th season as head coach of the Mavs. Small forward Harrison Barnes will be relied upon as the primary scoring threat for this team. Barnes, already an above average NBA player, will look to continue his ascension into the NBA's elite. NBA legend Dirk Nowitzki returns for his 20th season with the Mavericks. Although limited athletically, Nowitzki remains a solid spot-up shooter and will stretch the floor for this offense. In the 2017 NBA draft, the Mavericks selected point guard Dennis Smith Jr. from NC State with the 4th overall pick. Smith was the talk of the draft and many analysts think Smith has superstar potential. If Smith is ready to contribute immediately, he should serve as the tertiary scoring threat behind Barnes and shooting guard, Wesley Matthews. Experience first-class treatment at the American Airlines Center by watching the Mavericks live from a luxury box. 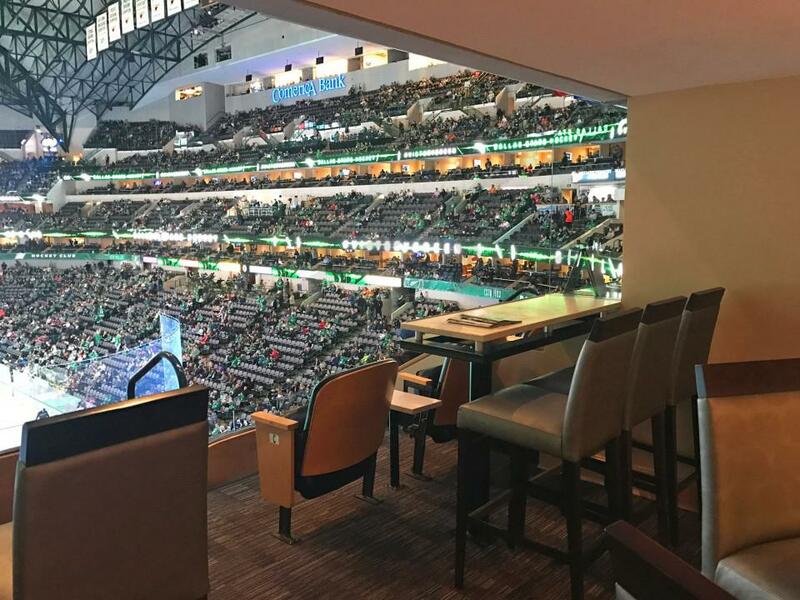 Dallas Mavericks luxury suites provides fans with private entry into American Airlines Center, VIP parking, and exclusive access to suite level bars and restaurants. American Airlines suites can accommodate 12-23 guests. Other suite amenities include premium catering options, HDTVs, comfortable lounge seating, and a dedicated suite attendant. The American Airlines Center has three suite levels; Flagship, Platinum and Admiral. Although the Dallas Mavericks lost Mark Cuban’s favorite son, Chandler Parsons, in the offseason the team may have actually gotten better because of Kevin Durant signing with the Warriors. The Mav’s capitalized off of the Warriors need to shed salary, as the signed Harrison Barnes and received Andrew Bogut for almost nothing in a trade. The Mavs are hoping that Barnes produces at a high-level as the number one offensive option. If the flashes that Barnes has shown in the last couple years prove to be legitimate then Dallas may have a young star on their hands. Wesley Matthews, the other starting wing for the MAvericks, is a reliable sharpshooter who plays excellent defense and always hustles. Then of course there is Dirk Nowitzki, who may go down as the best European NBA star ever. Nowitzki has spent his entire career with the Mavericks and continues to produce despite slowing down athletically. Combine a breakout year from Barnes with a solid season from the ageless Dirk Nowitzki and another good year from Wesley Matthews and the Mavs have the makings of a playoff contender. Andrew Bogut is arguably the best defensive center in the NBA and his addition, along with a full season of Wesley Matthew’s brand of aggressive defense, will stabilize a defense that struggled last season. On the other side of the ball Bogut’s passing ability will open up a potent Rick Carlisle offense. Bogut's dominant performance in the Olympics has Mavericks fans really excited for the upcoming season. If everything goes right the Mavericks could conceivably compete for a six seed in a loaded Western Conference. Experience first-class treatment at the American Airlines Center by watching the Mavericks from your own suite. A Mavericks private luxury suite provides fans with private entry into American Airlines Center, VIP parking and exclusive access to suite level bars and restaurants. American Airlines suites can accommodate small or large groups and are perfect for any occasion. Other top amenities include premium in-suite catering options, HDTVs, dedicated suite attendant and comfortable seating. Flagship suites will put your group the closest to the court of all three suite levels. Platinum suites are located on the baseline above the Flagship suites. Admiral suites will wrap around the arena above those. The American Airlines Center will be hosting Nick Jonas & Demi Lovato, Keith Urban, Kanye West and many other special events this year as well. The Dallas Mavericks are set to compete for a playoff spot in 2014-15. The Western Conference is extremely tough this season but Mavericks owner Mark Cuban has been this offseason improving the team’s roster. The Mavericks signed former Rocket Chandler Parsons will help boost the offense and provide the Mavericks with another scorer. In a trade with the Knicks the Mavericks acquired Jameer Nelson and former Maverick Tyson Chandler. Even with these key additions the Mavericks will once again lean on their star Dirk Nowitzki. Nowitzki led the Mavericks in scoring a year ago. With a supporting cast of Monta Ellis, Devin Harris and Brandan Wright the Mavericks have high expectations going into 2014-15. Experience first-class treatment at the American Airlines Center by watching the Mavericks from your own suite. 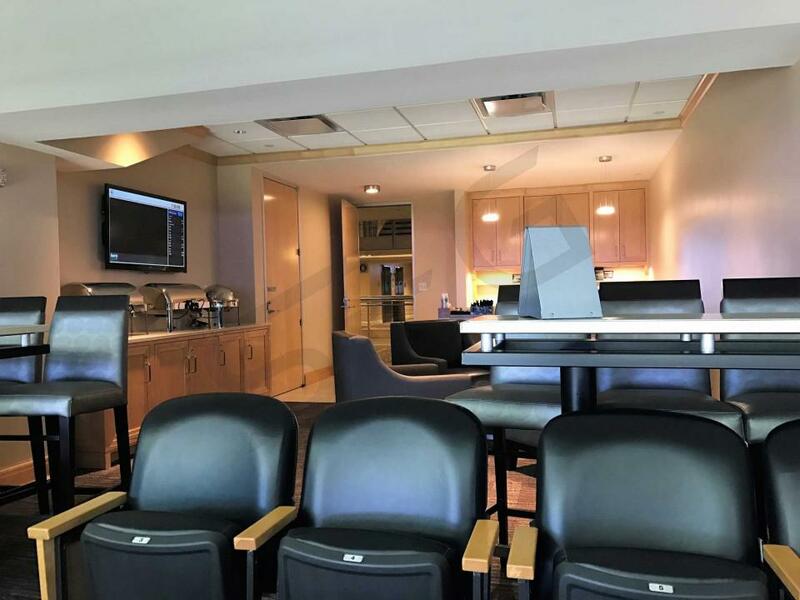 A Mavericks private luxury suite provides fans with private entry into American Airlines Center, VIP parking and exclusive access to suite level bars and restaurants. American Airlines suites can accommodate small or large groups and are perfect for any occasion. Other top amenities include premium in-suite catering options, HDTVs, dedicated suite attendant and comfortable seating. Flagship suites will put your group the closest to the court of all three suite levels. Platinum suites are located on the baseline above the Flagship suites. Admiral suites will wrap around the arena above those. Thank you for signing up for specials at American Airlines Center. Enter your email address below to stay in touch. We'll sign you up for our newsletter, which will inform you of the latest inventory and events at American Airlines Center. We promise we will never sell or distribute your information. 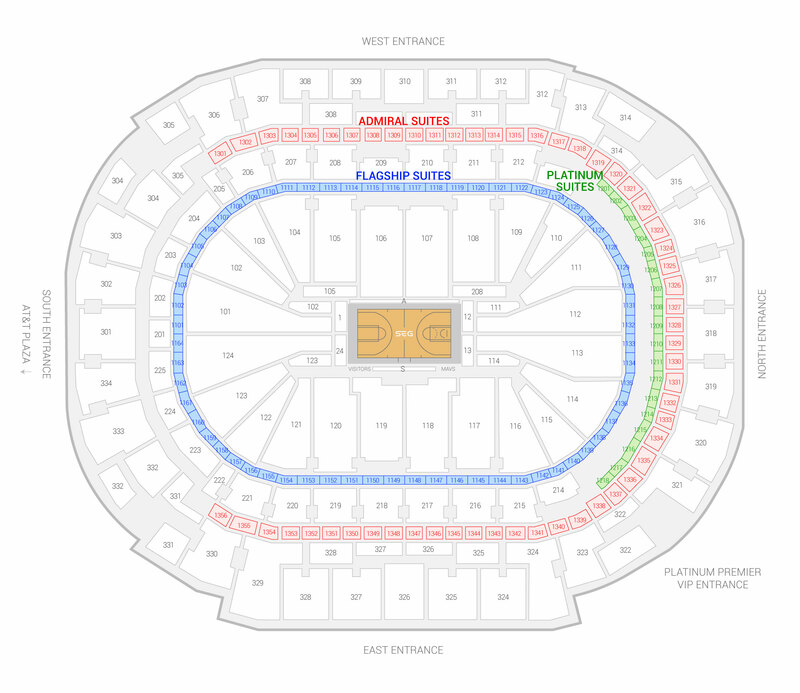 The seating chart below shows where the Dallas Mavericks suites at American Airlines Center are located.